It is all the more exiting, then, to return to these earliest of records and to find behind the myth a man of real flesh, who in spite of his unparalleled mastery of the sword has all the traits and idiosyncrasies to which all of us are prone. The Bushū denraiki is the earliest such record still in existence. Completed in 1727 by Tachibana Minehide, the fifth generation master of Musashi's Niten Ichi school of fencing, it is the most reliable record of Musashi's life and exploits outside those from the hand of the master swordsman himself. Now, after three centuries, Minehide's insight into this enigmatic and solitary swordsman are available to the English reader. 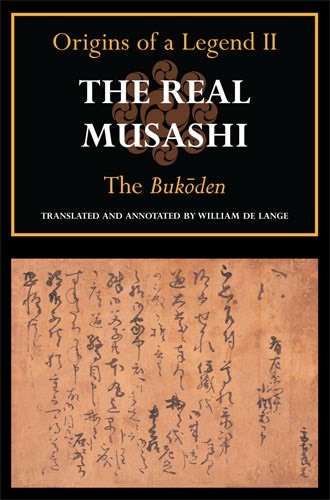 His text throws a new and refreshing light on many aspects of especially Musashi's early life—his troubled relations with his father, his first battle experience during Japan's period of unification, the sad death of his illegitimate child, and of course his legendary duel on Ganryū island. For those interested in the sword culture of Japan, this true story of its most iconic figure is essential reading. The Bukōden was completed in 1755 by Toyoda Masanaga, senior retainer to the Nagaoka, a clan closely involved in the events of Musashi's later life. 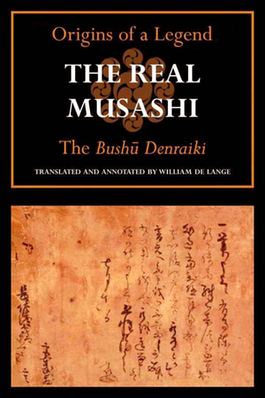 Masanaga's work ranks with the Bushū denraiki as one of the most reliable records of Musashi's life and exploits outside those from the hand of the master swordsman himself. Now, for the first time in two-and-a-half centuries, Masanaga's insight into this enigmatic and solitary swordsman is available to the English reader. 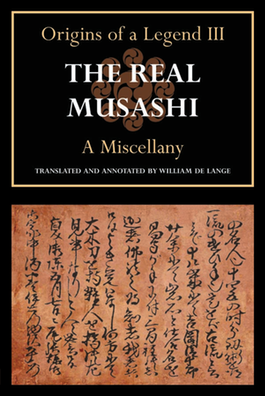 It throws a new and refreshing light on many aspects of especially Musashi's later life—his adoption of Iori, his return to Kyushu in 1634, and of course the gestation of his great work on the philosophy and art of Japanese swordsmanship, the Book of Five Rings.